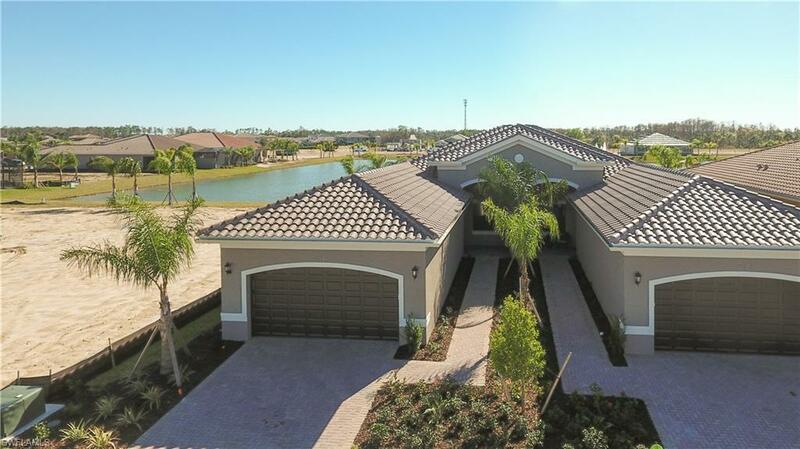 12098 Lakewood Preserve Pl, Fort Myers, FL.| MLS# 219008654 | Southwest Florida Residential Real Estate for Sale. NEW CONSTRUCTION attached Villa with breath-taking views of the Lake, in the beautiful gated Marina Bay community. The Nantucket floor plan features 2 beds, 2 baths, den with french doors, kitchen with low-bar counter & stainless appliances, dining, screened-in lanai and a 2-car garage. Special features include tiles in common areas, carpet in bedrooms, tray ceiling in the master bedroom. Marina Bay offers a galore of amenities with over 12, 000 SF of clubhouse which includes resort-style pool, lap pool, fitness center, social room, party pavilion, tennis, volleyball, indoor basketball court, card room, party pavilion, water play area for kids and much more. Located off Treeline Ave close to Daniels Pkwy and is minutes away from the Airport, Hospital, I-75, Shopping, Dining, Theatres, Schools and Florida Gulf Coast University.